Luxury villas, tucked away on secluded beaches, surrounded by the purity of sea and sky, are ready to fascinate. 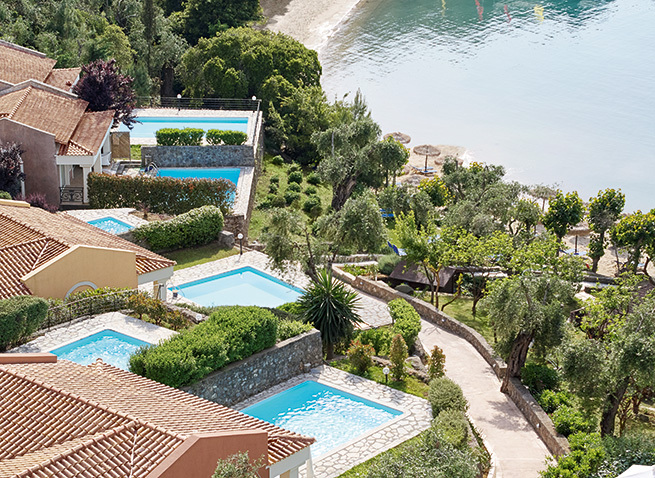 The blissful moments of an authentic Grecotel holiday are combined with a luxurious villa lifestyle, with top-level indulgence and Grecotel service. Here, nothing is impossible. And with our ultimate villa offers, it’s easier than ever to make dreams come true! Offer is subject to availability at the time of reservation and valid for specific room types. The added value benefits vary per room type and hotel. Minimum stay restrictions apply. The hotel reserves the right to stop this offer at any time. Blackout dates and other restrictions may apply. Offer not applicable to groups. These rates are valid only for Leisure. Not to be combined with other offers or promotions and subject to change. Kos Imperial: The Spa credit must be used during the current stay, is not refundable nor transferable in any way. No remaining credit balance can be refunded. The Spa credit is calculated per accommodation and will be applied toward Spa therapies only.